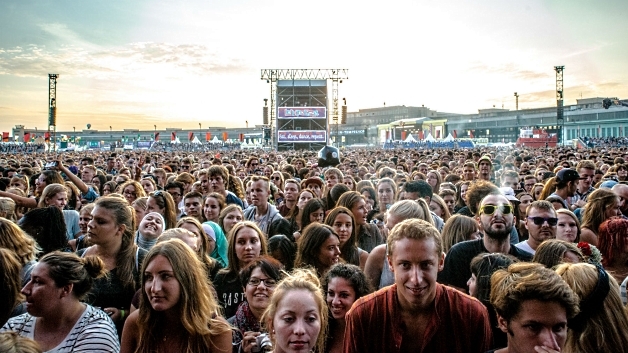 It's tough to overstate just how incredible a major music festival can be for fans. Just last month, Coachella once again delighted droves of fans who came to dance, party, and experience a ridiculously varied lineup. As one recap at LA Music Blog put it, Coachella can change your life—and this year's festival was further evidence to that statement. Coachella 2016 was also a great example of exactly the type of event that can sometimes take such festivals to the next level. On top of a lineup featuring the likes of Ellie Goulding, Sia, Disclosure, and Calvin Harris, we saw a pretty amazing reunion show from Guns N' Roses, who set aside their differences earlier this year to get back on the road together. It was actually just the latest in a series of revival moves from the band, including a mysterious trailer for a film about the group and the announcement of a 21-city tour this year. The band is even now represented in an Internet casino game that Gambling.com calls "a stellar tribute" to the group's highly anticipated 30th anniversary. Fittingly, the game was released in early 2016, furthering the impression that Guns N' Roses was gearing up for a revival. And at Coachella, that revival exploded in front of one of the most enthusiastic musical audiences in the world! At least for fans of classic rock, it'll be hard for any of the coming summer's festivals to top that kind of event. However it's still an appropriate example of how a single group can take a festival overflowing with interesting acts to the next level, and there's always the hope of something similar happening. But even without a major revival show, the summer's biggest festivals are giving fans a lot to look forward to. So here's a look at some of the big ones. A relatively new festival that takes place at City Hall Plaza in Boston, Boston Calling doesn't quite have the name recognition of some of the other events on this list. But it's already started to attract some pretty great artists, and it may just be the most noteworthy East Coast festival of the spring and summer. Sia, HAIM, and Disclosure are some of the headliners for this urban festival in the heart of Boston. As one of the most famous arts and music festivals in the U.S. (if not the world), Bonnaroo hardly needs an introduction. In the eyes of many, this is the festival that really kicks off the summer music season. And the lineup for 2016 is jaw-dropping and packed with artists across every genre. For the rock fans, there's Pearl Jam; for modern pop fans, Ellie Goulding and X Ambassadors; for alt. rock and pop-rock lovers, Third Eye Blind and Death Cab For Cutie; for rap fans, J. Cole and Macklemore & Ryan Lewis; the festival will even feature legendary comedy filmmaker Judd Apatow doing stand-up. These and dozens of acts in between could make for the best 'Roo in years. Self-titled the world's largest music festival, Summerfest is too often overlooked in between Bonnaroo and Lollapalooza, which tend to be the two biggest names in summer festivals in the States. Held at Marcus Amphitheater in Milwaukee in two stints (June 29-July 3 and July 5-10), it's packed with more A-list performers than perhaps any other concert this summer. Paul McCartney, Selena Gomez, and Def Leppard are only a few of the big names present. But the real treat this summer in particular is that Blink-182 is expected to show up. According to JSOnline, they'll headline the July 5 performances (and yes, they do supposedly have a new album coming out). While major amphitheaters and sprawling rural areas are often favored for music festivals, a lot of people will swear by Grant Park, Chicago as a venue (for lack of a better word) for a major festival. Chicago knows how to party, and that turns Grant Park into an absolute blast for the duration of Lollapalooza every summer. But a great lineup doesn't hurt, either. J. Cole, Radiohead, Red Hot Chili Peppers, and festival favorite Major Lazer are a few of the headliners this time around, as Chicago gears up to celebrate the festival's 25th anniversary. Held annually at Golden Gate Park in San Francisco, this festival has one of the coolest natural atmospheres out there. And in recent years it's really put itself on the map with some killer attractions. A lot of popular festival performers already mentioned (Radiohead, J. Cole and Major Lazer) will be there. However, there's also an eclectic mix of artists you might not see at other festivals this summer, including Lionel Richie, Lana Del Rey, and Duran Duran to name a few. That about takes you through the summer! Particularly with Boston Calling and Outside Lands gaining steam on either end of the season, it's becoming a reliably outstanding set of events, and they only seem to get bigger and better each year. You really can't go wrong visiting any one of them.